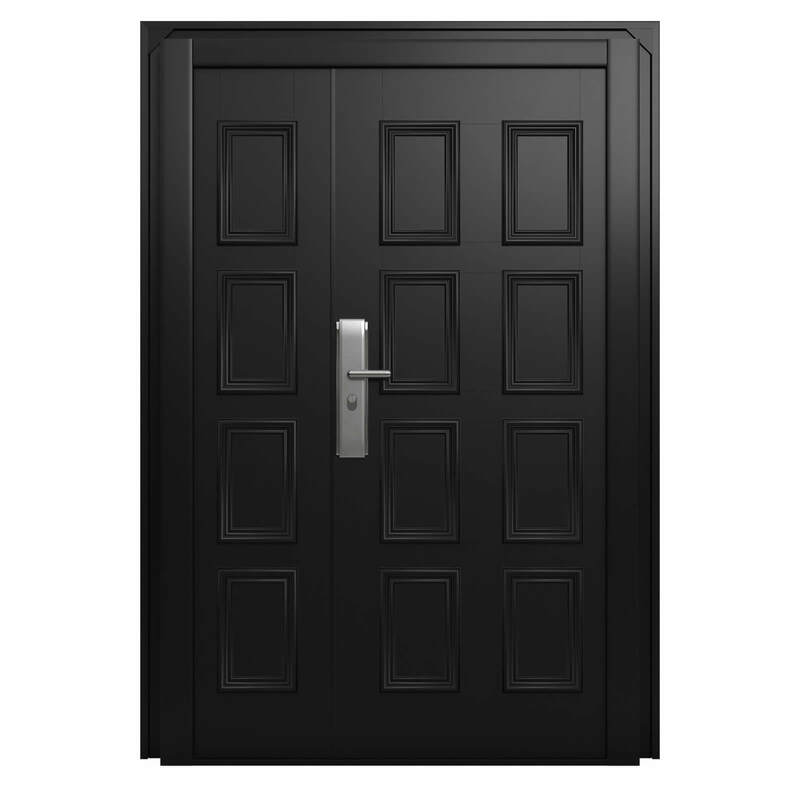 Featuring a striking 8 panel design and Obsidian Black finish, our Chelsea range is sure to impress without compromising security. 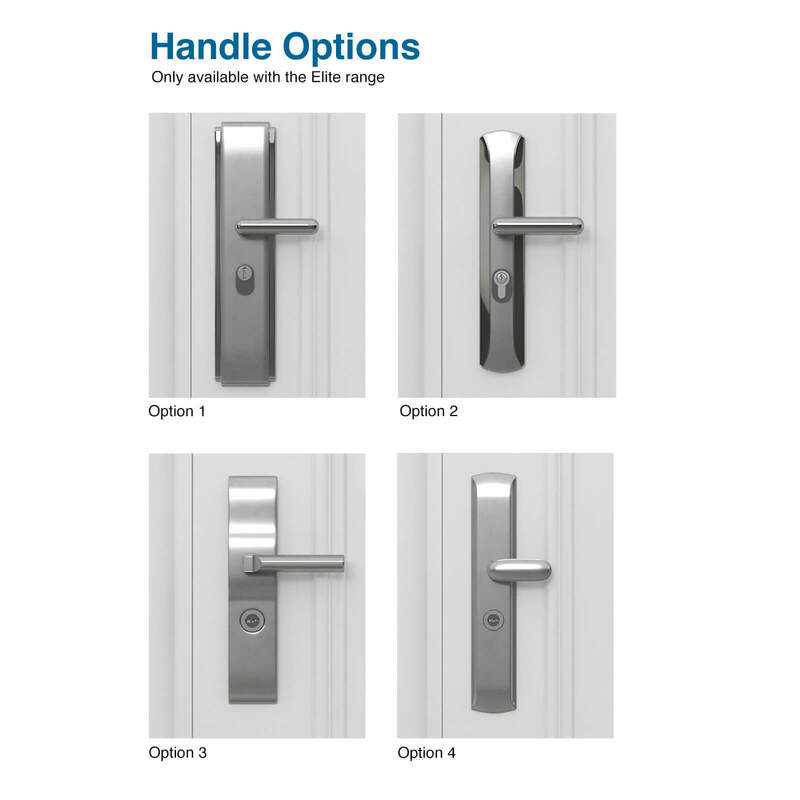 Available in single and leaf & a half form with a range of handle options to suit. 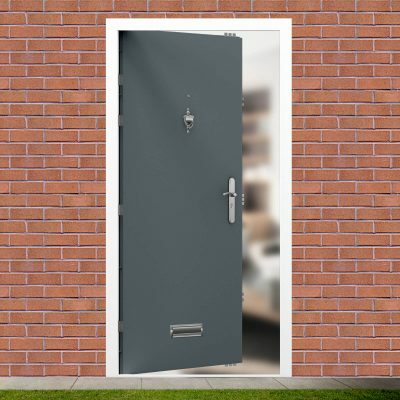 Security is the core function of all our steel doors, but as with all the doors in our Elite Steel Door range, security doesn’t mean you have to compromise on style. 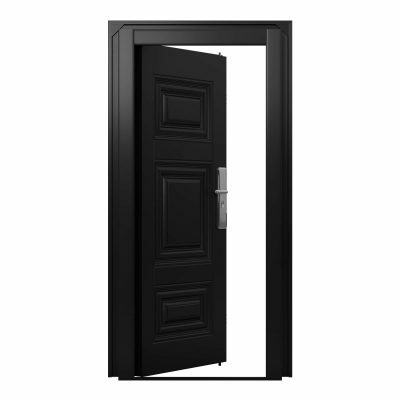 A heavy duty finish to the steel door and frame. 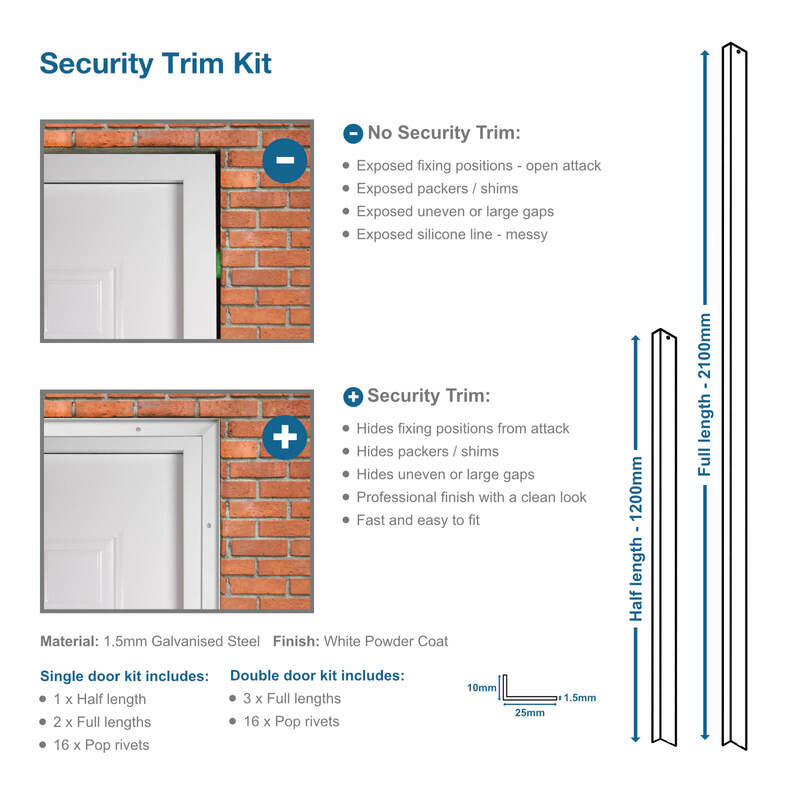 This allows the door to be used in industrial, commercial and domestic situations, giving the same high security, whilst still being aesthetically pleasing. Pre-fitted to the doorset are all-round draught and weatherproof seals, sealing the door from water and draught, contributing towards high acoustic and thermal values. 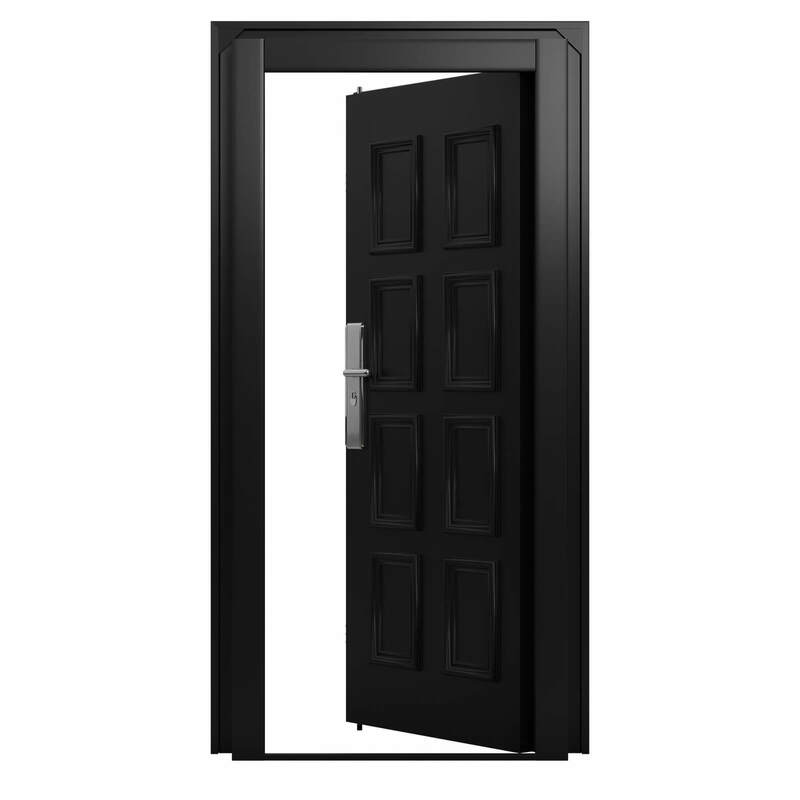 3 Stainless steel hinges and 2 Dog bolts (fixed locking points) are on the hinge side of door leaf. 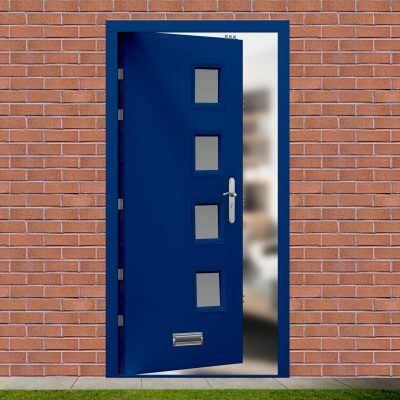 Disability Discrimination Act specifies a level threshold with a maximum upstand of 15mm with chamfered edges. 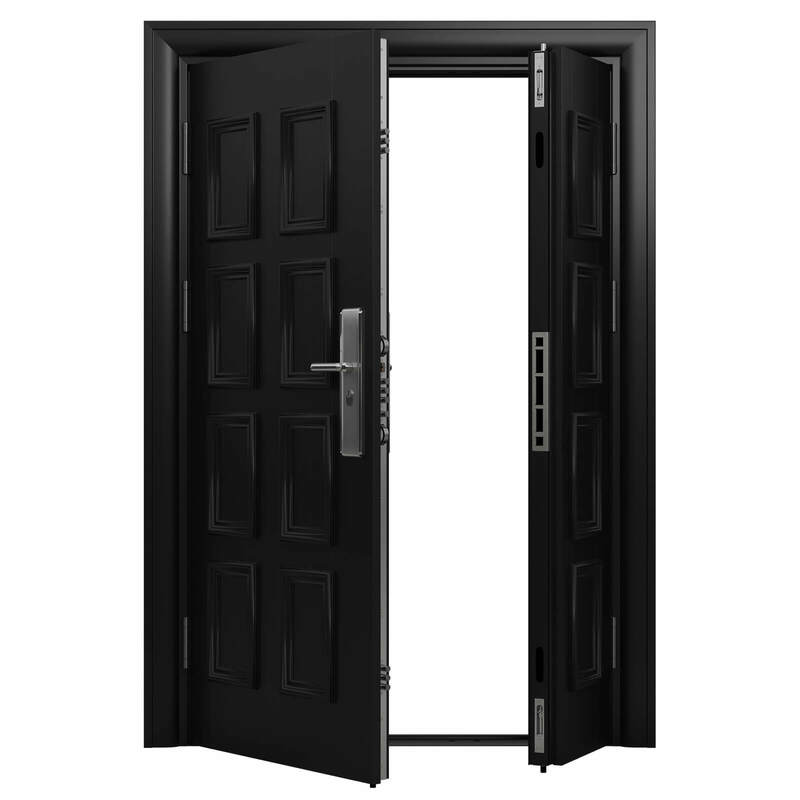 2 anti jemmy bar lips are integrated into the door & frame, including on the top and hinge side, for added security. 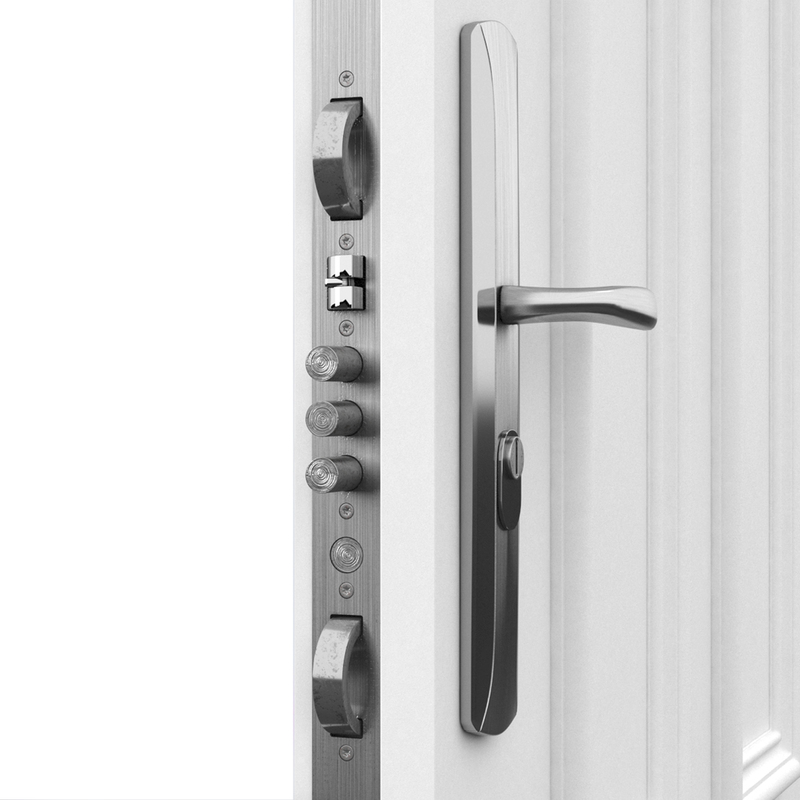 A stylish set of heavy duty stainless steel lever handles finish off the clean look of the doorset. 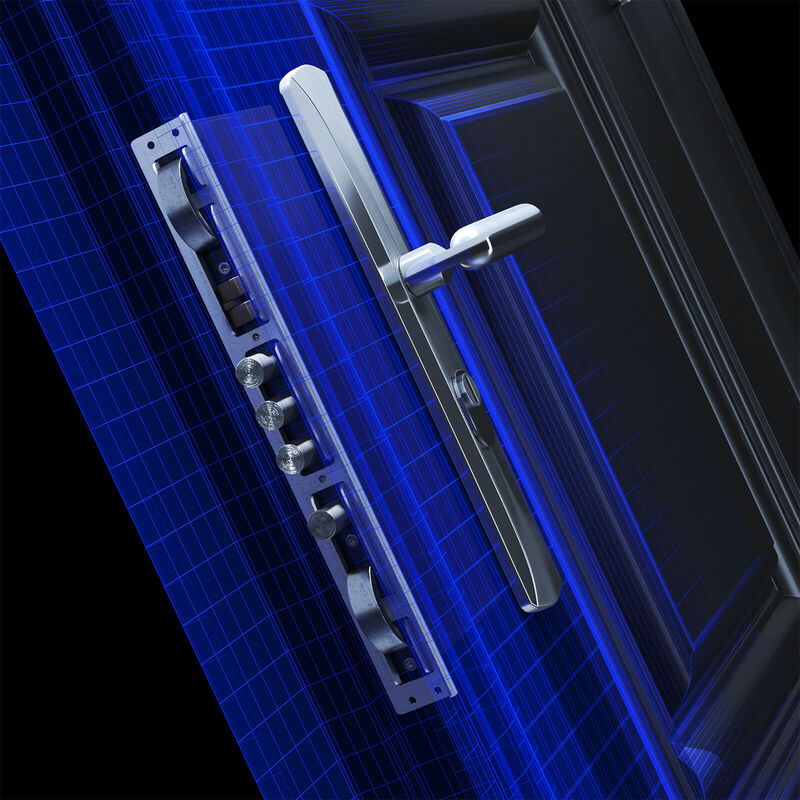 With a highly functional thumb turn internally, a separate single lock can be engaged for rapid security without keys. 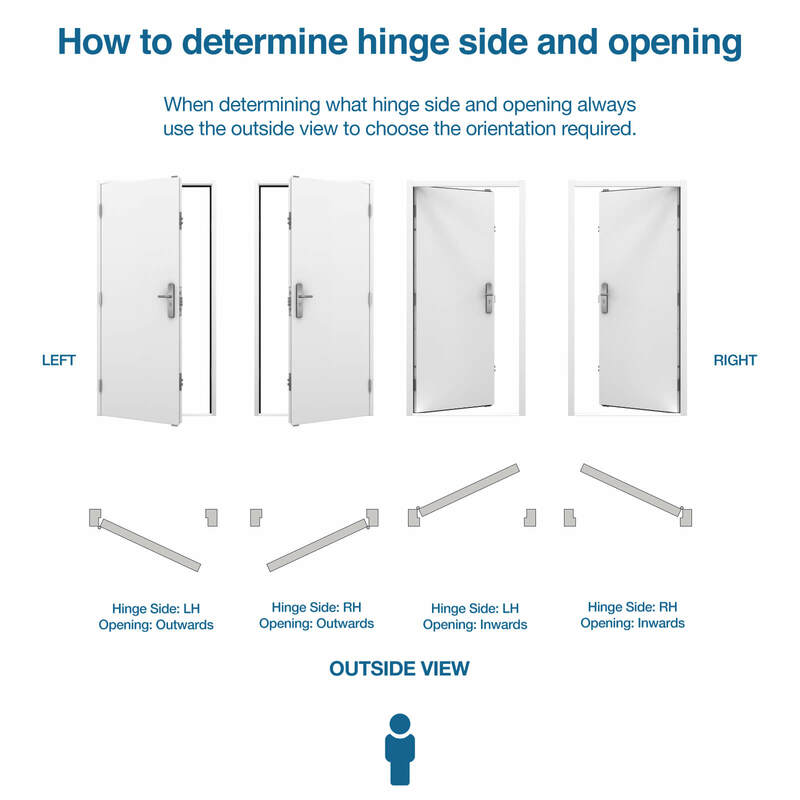 A shoot bolt into the top of the frame, 10 shoot bolts into the latching side of the frame along with 2 ring hooks. 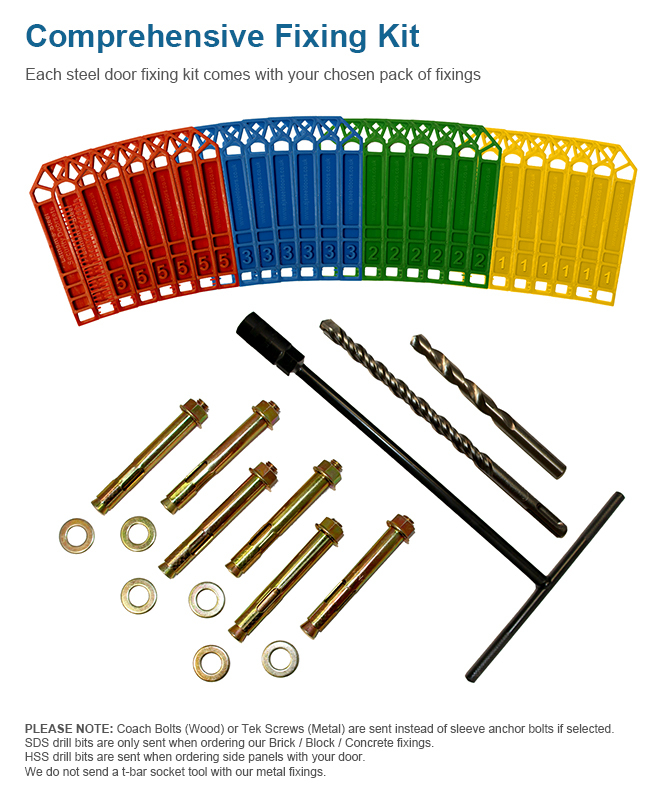 Including the 2 dog bolts and latch, in total 16 points secure the door leaf in the frame. 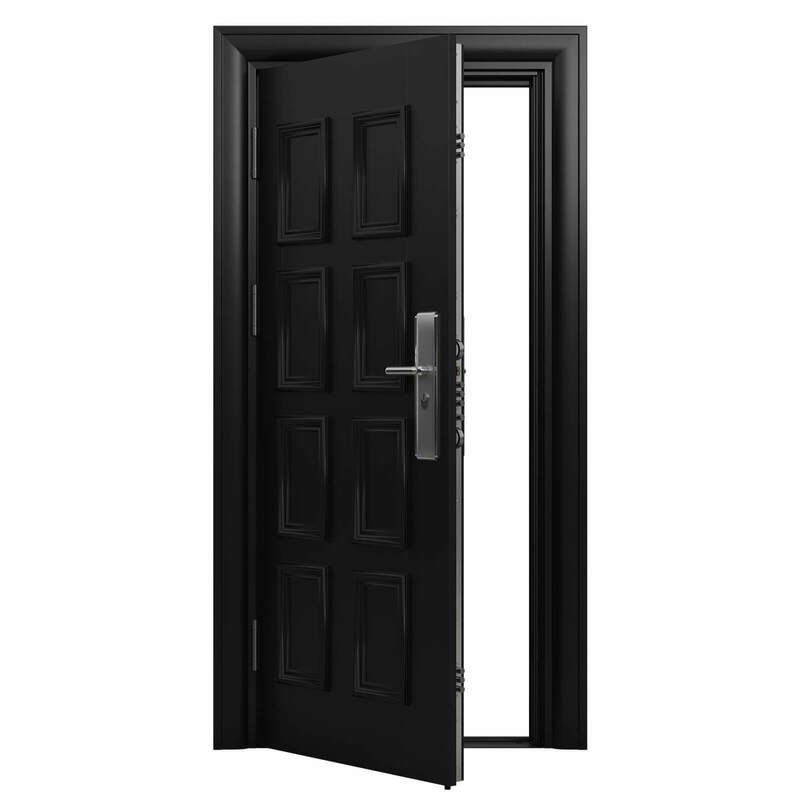 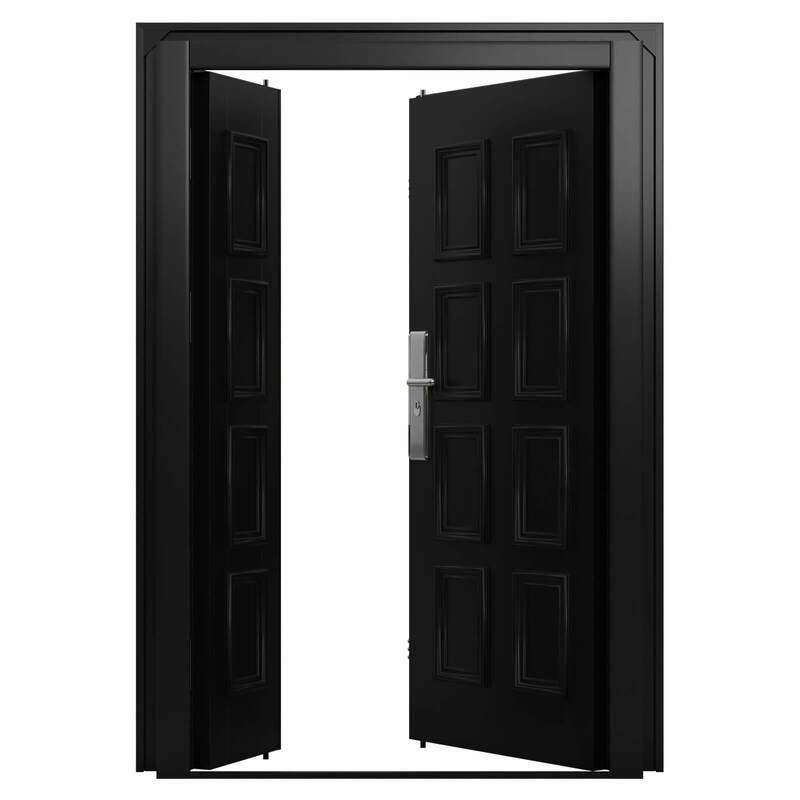 The doorframe is constructed using 2.0mm gauge steel and double skinned 1.0mm gauge steel for the door leaf. 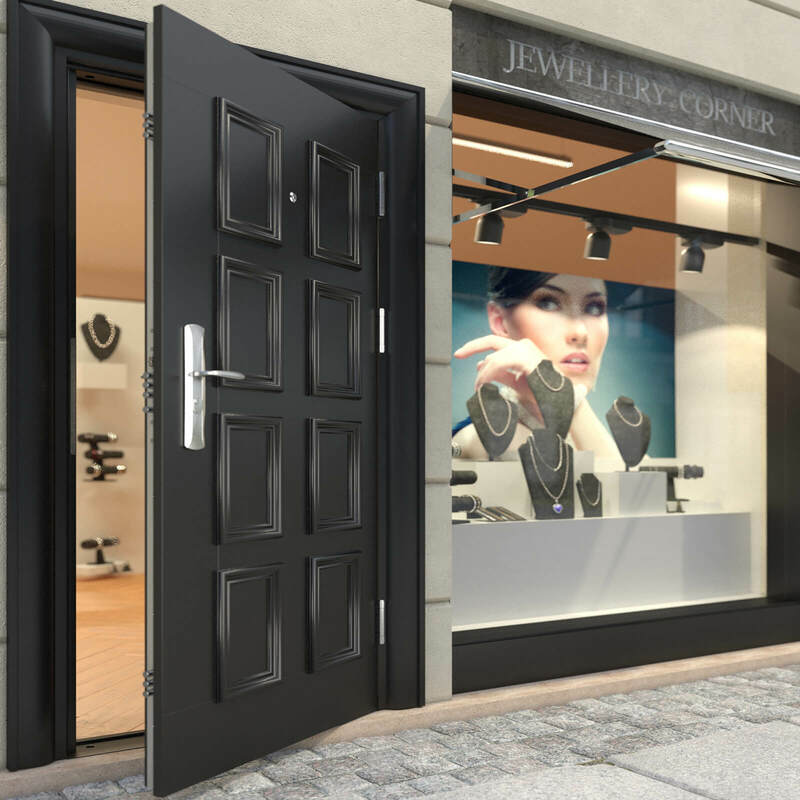 The door leaf is fully welded, encasing a honeycomb filler between the 2 skins, adding to it’s high impact, thermal and acoustic values. 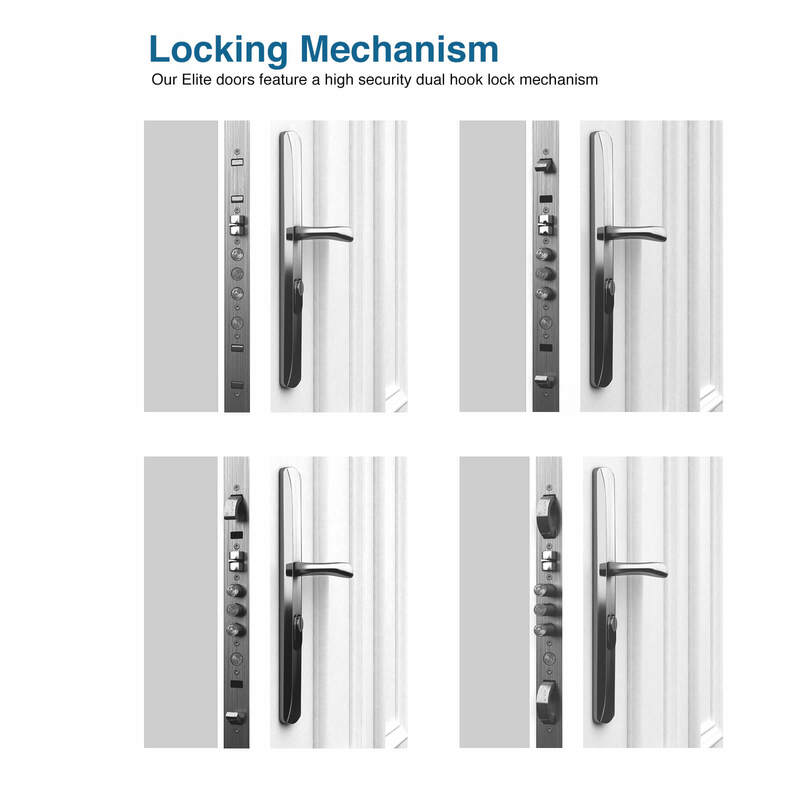 Incorporating anti-pick, anti-bump, anti-snap, anti-drill and anti-pull features. 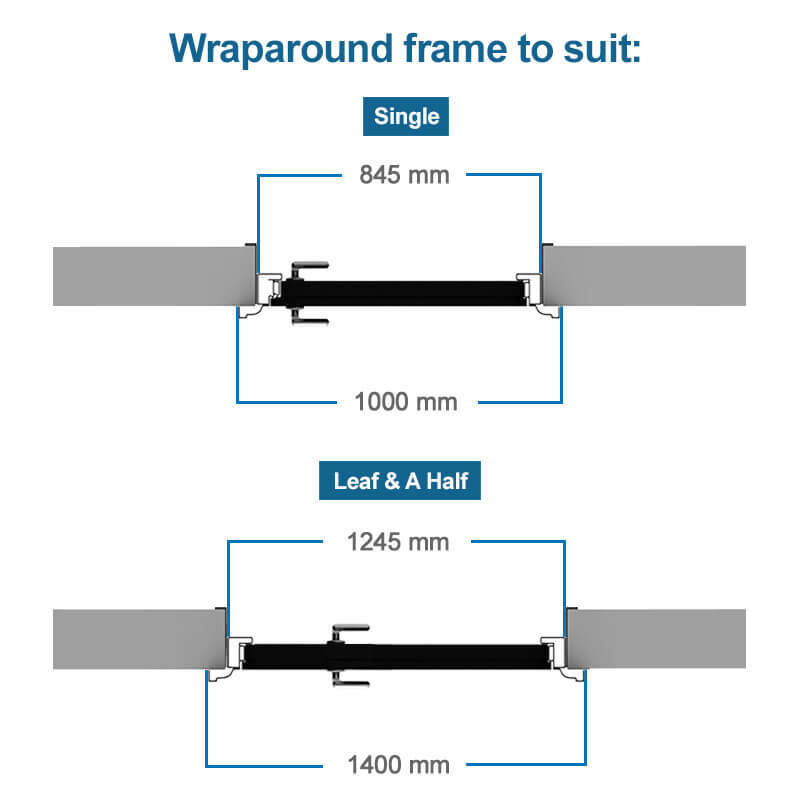 The innovative frame design allows for fitting in almost any situation.